Beating the winter blues, and improving strength and conditioning, the hour long sessions have been helping locate previously under-used muscle groups and have stretched people both physically and mentally. 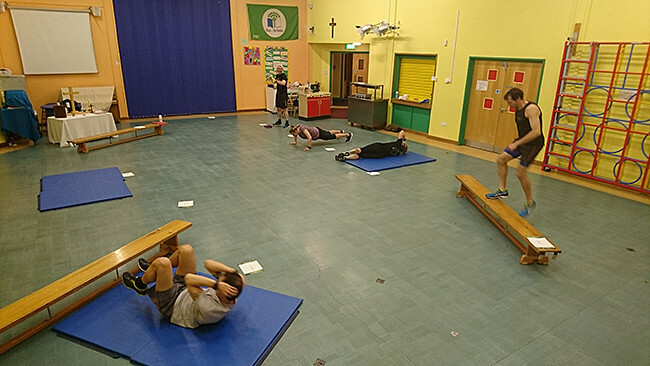 Expertly coached by Dave and Sara, the group have done circuits, core strength work, and a flat out bleep test. By the time the summer season arrives, club members will be a mean, lean triathlon machine.